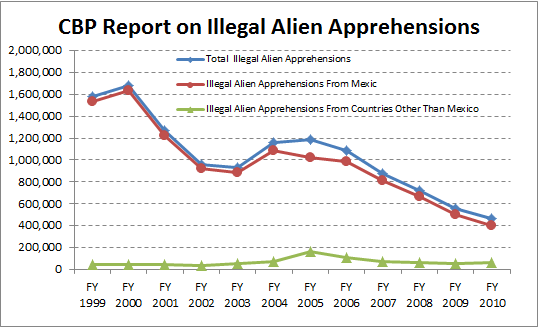 The sharp decline in apprehensions of illegal immigrants is in agreement with several other reports that unauthorized immigration flow in the United States is down in recent years. It is logical to think that a struggling U.S. economy, tougher border enforcement, and stricter employment verification requirements all contributed to the decline. The original pdf file can be found here (update: file no longer exists on CBP’s page).